• MyFly8 features 8 adjustable loft settings, allowing you to maximize distance on every shot. • Smartpad allows the sole of the clubhead to sit squarely on 8 different loft settings. • Forged E9 BiO CELL face technologies reduce the weight in the crown and face to deliver a lower CG, and fast ball speeds. • Forged thin, shallow high strength steel face inserts enable more face flex for greater distance. 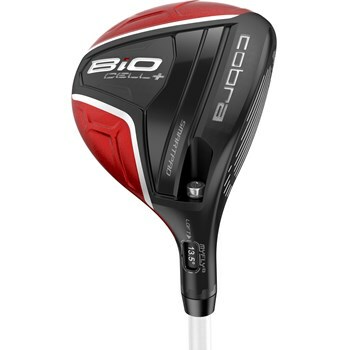 • More compact and pear shaped head than the standard BiO Cell fairway wood.